We serve locally grown and all Natural Products! Menus starting low as $6.49 per person. Restrictions apply call for details. We serve locally grown and all natural products, we will not only provide the most Fabulous Food Around, but the best in Carnival Atmosphere. We can secure all portables, dumpsters, trash clean-up, tents, decorations, balloons, etc. We cater to large Industrial events and company picnics large and small with servings for 1 to 15,000. If you would like more information about what we can do for you, please call 704-982-4243 and give us some information about yourself and your event. Locally grown all Natural Products! Give your occasion that special touch, be sure to contact the catering experts at Greene's Catering & Amusements. Our professional, friendly staff will help you plan your occasion with elegance and style. 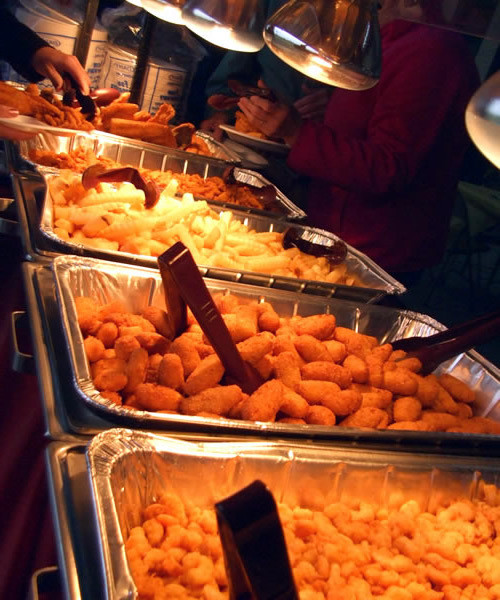 With no occasion being too large or too small, Greene's Catering & Amusements guarantees the finest quality, "made from scratch delicious food cooked on site" at very affordable prices. 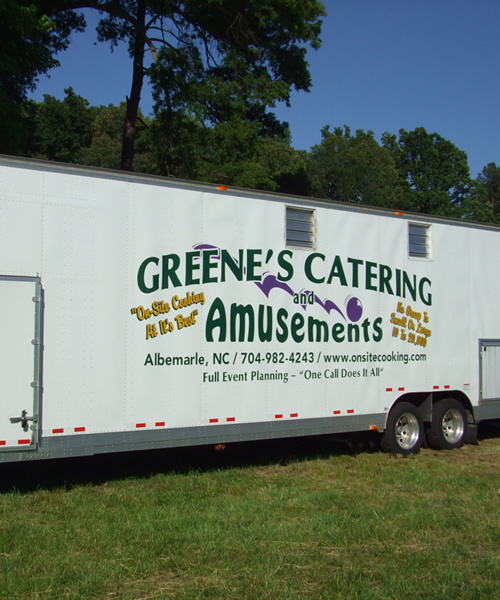 Take the worry out of planning and make all your special occasions a complete success with the team at Greene's Catering & Amusements. Our goal is that everyone have fun. Operated with family fun in mind. 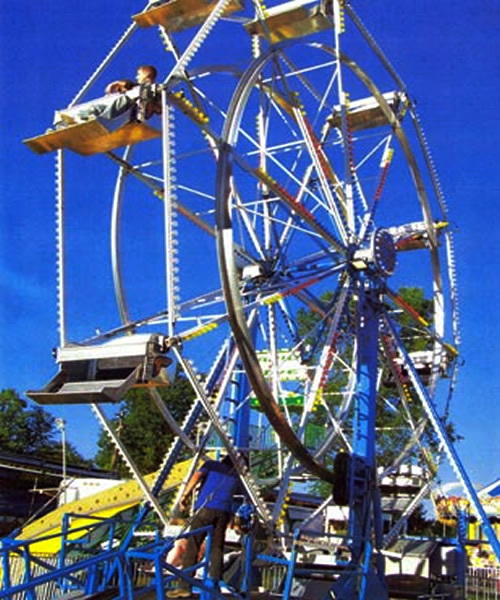 Mechanical Rides for Events. We take pride in our equipment. We are inspected by both NC and SC Dept. of Labor. Wide range of inflatables, we have everything from bounce houses to crawl-through units for the younger children and obstacle courses for the older participants. Fun games for every skill level. Our games are operated with family fun in mind. Our number one goal is that everyone must have fun. © All Rights Reserved Greens Catering Service Inc.